Rumor: Why Aren't Iconic Characters Like The X-Men Appearing in Marvel vs. Capcom 4? 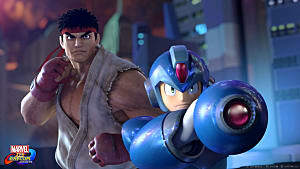 Recently, rumors have been running amok regarding Marvel vs Capcom 4. 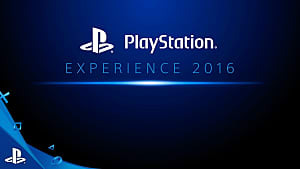 Supposedly, we are a few days away from its announcement at the PlayStation Experience starting this Friday, December 3rd. The sources of the rumors were some of the same we saw for gossip about Marvel vs Capcom 3 and Ultimate Marvel vs Capcom 3. 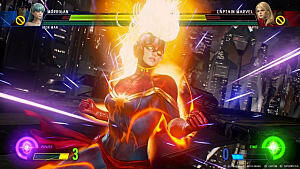 The key points of the supposed rumor are as follows -- it'll be a PlayStation 4 exclusive (much like Street Fighter V), will feature mainly Marvel heroes from the films, and will be missing a few key characters. That's right -- rumor has it that Marvel vs Capcom 4 isn't likely to feature any X-Men (Wolverine, Storm, & etc) or Fantastic Four (Doctor Doom, Super Skrull, & etc) characters. If you've been a long-time fan, the last point is quite jarring. Wolverine, Magneto, & Doctor Doom have been synonymous with the series' image since its debut in the late 1990s. These characters have oftentimes been at the head of promotional ads, and game covers. From a player standpoint, they've stood on top of tier lists to become some of the most powerful characters at the highest levels of professional competitive play. Understandably, these changes bring a number of questions. The answer to the exclusion of such iconic characters may very well rest with the MCU (Marvel Cinematic Universe), which began in 2008. The first Iron Man film, starring Robbie Downey Jr., saw unprecedented success. It earned $318.4 million in North America, and $266.8 million in other territories, for a worldwide gross of $585.1 million. This success began the relaunch Marvel's rand to the film world. In 2009, the Walt Disney Co. acquired all of Marvel for 4 billion. At the time, many questioned the acquisition. A comic book publisher that had just begun to produce its own movies would be paired with one of the largest international media companies in the world. But the movie business was sound. Disney would be able to expand its fan base to older teens and adults. These heroes and characters could be expanded into different avenues -- including new animated series featured on the Disney channel. And the Disney Infinity games often featured the Marvel heroes as well. Now, there was an apparent caveat at the time of the acquisition. 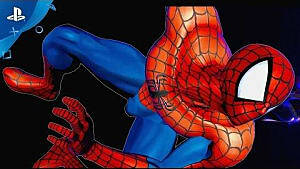 The Spider-Man film rights were owned by Sony Pictures. The X-Men and Fantastic Four film rights were owned by Fox. However, the characters could still be used for games, TV, and of course, comics. A sign of some changes to come, that same year the state of the video games came into question. Disney was quoted to be reexamining the Marvel video game deals on their end. 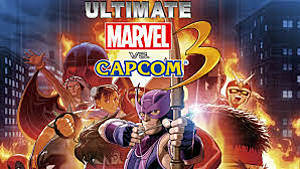 At the time, Marvel had multiple deals for video game appearances -- some which included Marvel vs Capcom 3 in cooperation with developer Capcom. Another example would be Marvel's deal with Activision regarding the Spider-Man games. 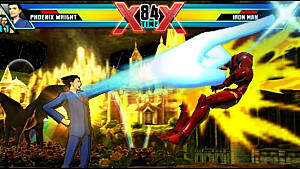 Soon after Ultimate Marvel vs Capcom 3 's release near the end of 2011, the license came into view. The game -- to put it bluntly -- was in need of balance patches. Certain characters weren't merely overpowered, but their advantages bordered on unfair. But a patch didn't come. Players began asking Capcom why a patch wasn't being released nor even addressed. The answer became apparent in late 2013 -- when all past Marvel games were removed online, including outlets like PSN and Xbox Live. This was a mandate that would see Marvel's game rights returned to them. This included the popular crossover fighter as well. Capcom finally announced in 2014 that their license had expired. And as a result, they could not alter the game in anyway shape nor form. Creating a patch which would be distributed online was a part of that license. So unfortunately, the opportunity never came. Marvel has had a good number of films that have become highly successful -- and much of that is owed to the powerhouse that is Disney. By that same token, other Marvel Films have not faired as well. The X-Men films have seen with mixed reception. Although X-Men First Class, Days of Future Past, and Age of Apocalypse weren't considered horrible, they left the feeling more could be done with the characters -- even though the films did do well in theaters. The woes don't end there either. The most recent Fantastic Four film of 2015, which served as a reboot, was deemed a failure to a film that was originally a failure as well -- a bad movie with even worse reviews that didn't perform at all in the box office. Its failure led to the cancellation of a planned sequel in 2017. But more than that, it seriously damaged the relationship between Marvel and Fox. Fox became much more stringent with its rights and how it used them, while Marvel became increasingly frustrated with Fox's lack of cooperation concerning what was their IP. We'll come back to how this affects Marvel vs. Capcom 3 in just a moment. Sony saw something similar with their Amazing Spider-Man reboot, starring Andrew Garfield. The second film in 2014 wasn't reviewed, well but it did okay overall in the theaters. in 2015, Marvel and Sony came to an agreement that would allow Spider-Man to appear in a few of Marvel's movies. Being one of the franchise's most popular heroes, this lead to the announcement of the Spider-Man Homecoming film scheduled for 2017. With this new reboot, a younger Peter Parker was casted with Tom Holland. Not one to miss an advertising opportunity, Marvel gave him considerable screen time in Captain America 3: Civil War. This movie served to be his introduction to the MCU and to its fans the world over. So where a few flops left Fox with a bad taste in its mouth, Sony and Marvel managed to come to an understanding that ended up benefiting them both in the long run. Where does that leave us for Marvel vs Capcom 4 so far? It's not hard to imagine that the upcoming game will star Marvel-owned characters like the Avengers and Black Panther, or outsourced characters like Spider-Man. These names have become rather iconic over the years, so their inclusion would make too much sense. So let's go back to Fox, the X-Men, and the Fantastic Four. We can bet that they won't be making an appearance in MvC4. Why? Because Marvel isn't happy that Fox still owns the movie rights and isn't playing ball with them. This isn't merely conjecture -- given that at the time of writing there is no Fantastic Four comic in print, nor any plans to do so. This has also extended to the X-Men as well. It's been reported that Marvel has asked its comic writers not to create any new X-Men characters -- the reason being that Fox would have the ability to use them in film and make a profit from that. And Marvel doesn't want to let them have that. So yes, Marvel is actively forcing Fox's hand to some degree. Unless Fox makes a deal similar to Sony or relinquishes the rights altogether, we'll have to say goodbye to these beloved characters for the next iteration of Marvel vs. Capcom. A new fighter in lieu of Street Fighter V's rocky performance raises some concerns. 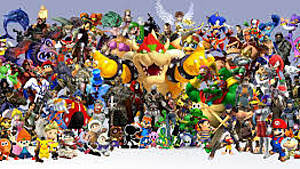 Can and or will this game have a complete, well-rounded character roster at the time of release? Will it feature enough content without relying on some of its most iconic IPs? At this time, it's unknown whether the game will quell these particular concerns. 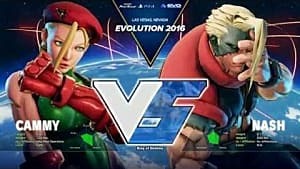 Considering that this series can become more popular than Street Fighter, I would assume that Marvel and Capcom both have given it a fair amount of thought. Perhaps their decisions will make more sense when futher details are released. So what is really the deal with Marvel vs Capcom 4? Only Marvel and Capcom know. Fighting game and superhero fans can look forward to the PlayStation Experience this weekend to (possibly) find out.